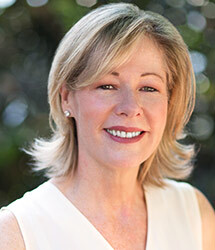 Janet Lamkin is California State President of United Airlines. Prior to that she worked for Bank of America in California for more than 10 years, serving most recently as the company’s corporate communications and public affairs executive, before leaving the bank in 2005 to become president and CEO of the California Bankers Association. She returned in 2007 to assume her current role. She has served on the California Advisory Council of Economic Development and was the president of the Professional BusinessWomen of California. A former president of the State Government Affairs Council, Lamkin sits on the boards of the California Chamber of Commerce and the California Business Roundtable, among other organizations. She was named one of the 100 most influential businesswomen in the Bay Area by the San Francisco Business Times in 2002, 2003 and 2008.